Flanked by three continents and offering coastline to twenty-one countries, the Mediterranean is a mythical place, blessed with its fine climate, abundant fauna and flora and the intense blue of the sea. In Great Escapes Mediterranean, Angelika Taschen catalogs the best hotels of the legendary region, scouring the most beautiful gardens, the most enchanting beaches, the little-known islands, the finest architecture and gorgeous rooms with the most breathtaking views. From the glamorous Eden-Roc on the Cote d’Azur to the hotel Stella Maris north of Portofino, accessible only by boat or trekking, this is the ultimate reference for any discerning Mediterranean traveler. Compiled and edited by Angelika Taschen. 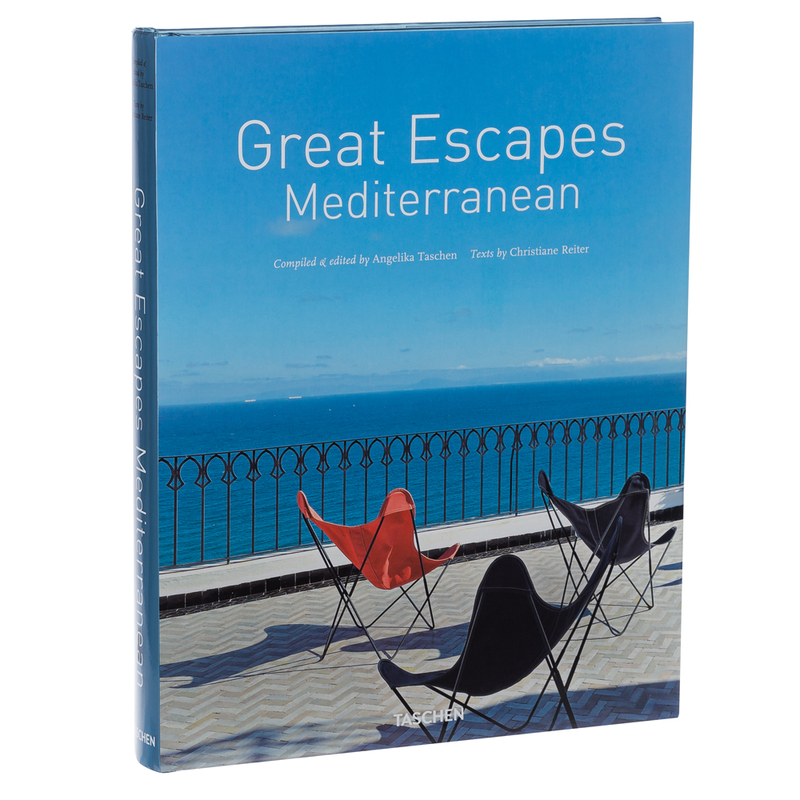 Comprehensive guide to the best hotels available in the Mediterranean. Recommendations are divided into chapters – France, Italy, Spain, Croatia, Greece, Turkey and Morocco. Includes the address, price range and history for each location featured. Includes photo credits at the back of the book. Dimensions: 24.5cm (l) x 31cm (h) x 3.5cm (w).